Enter by the road along AMK Hub. 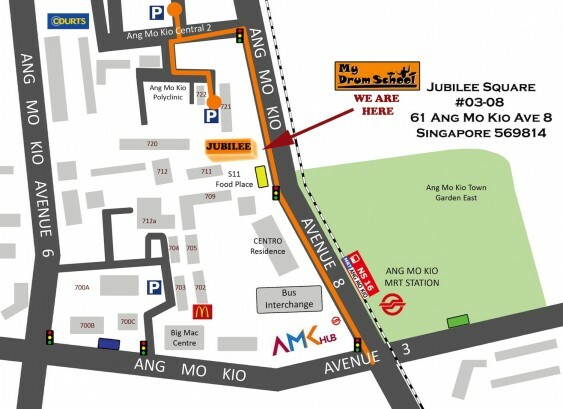 The AMK MRT should be on the opposite side of the road. Keep left and you will pass by Centro Residence on the left, and a bus stop. You will approach Jubilee Square after the Bus-Stop. You can alight your child here, or move forward for parking. If you do make a Left-Turn to the small carpark, make another left turn and it will take you behind Jubilee Square.